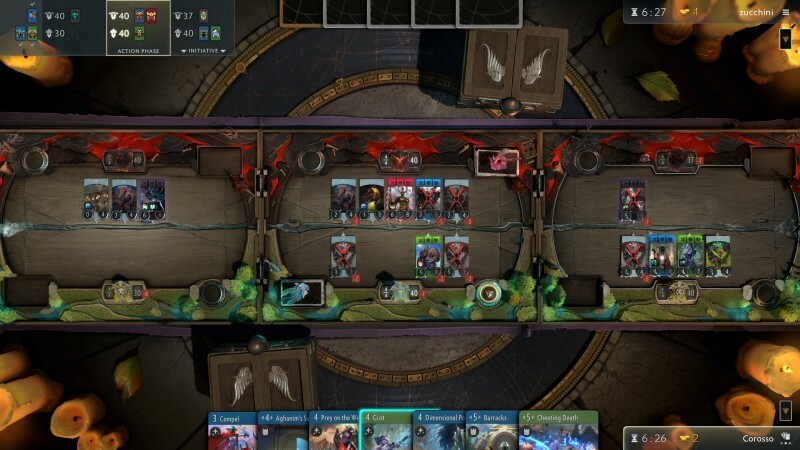 Valve’s Artifact was announced to mixed reactions at the Dota 2 International tournament in 2017. 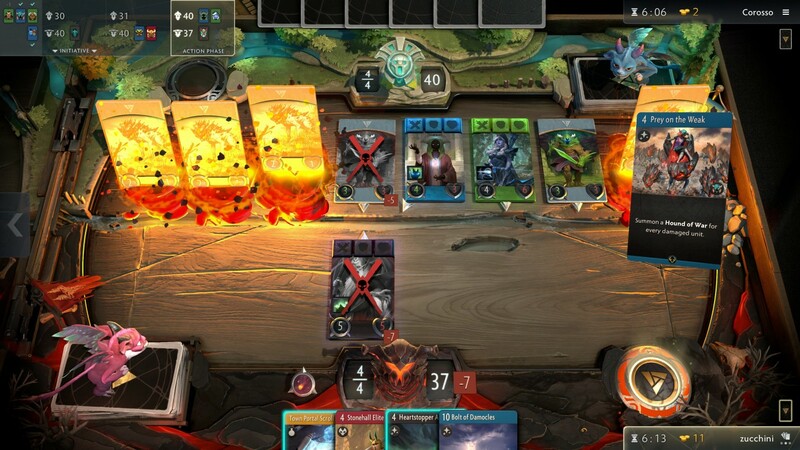 Artifact apparently signaled Valve’s return to active game development, but it is different from the studio’s signature series like Half-Life and Portal. Instead, Artifact is a card game set in the world of Dota, and it is designed by Richard Garfield, the creator of Magic: The Gathering. 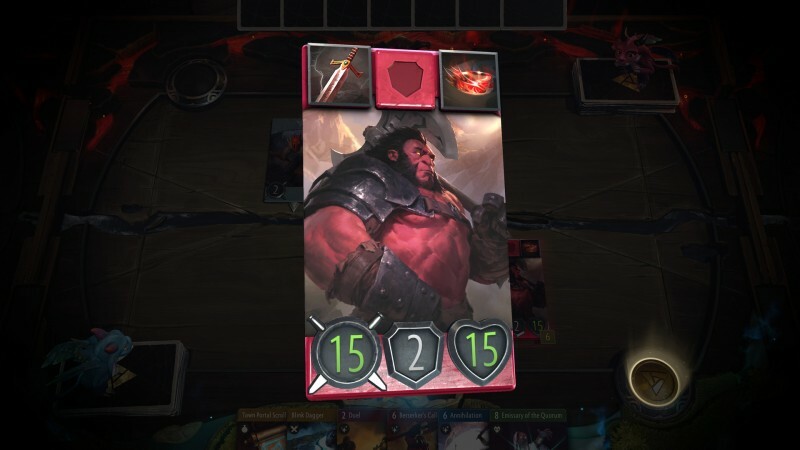 While Artifact is different from Dota 2’s team-based gameplay, much of the flavor and mechanics translate well into the three-lane game. If there’s one big similarity between the two Valve titles, it’s that some time and dedication are required to learning, understanding, and enjoying the game. The easiest way to explain Artifact is that you’re playing three different games simultaneously with a single hand, and you need to use those cards to win two out of the three games (or win one of the games twice). Success is all about management and position; you need to make hundreds of decisions in a single game on both micro and macro levels. It’s overwhelming at first, but after many hours of play and mastery of the systems at work, the satisfaction of executing a perfectly timed game-winning move is immense. 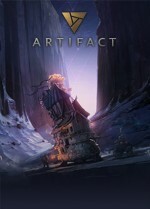 On the surface, Artifact appears to be a tangled web of randomness with so many aspects being left to chance, but corralling those variables and subtly working with the tide of each game creates an atmosphere unlike any other digital card game. Everything hinges on your heroes. Your deck must contain five heroes, and they come with associated cards (Dota fans will recognize flavorful skills and abilities, but no previous Dota experience is required). These cards play well with the hero's stats and passive or active skill. For instance, one of the most powerful heroes in the game, Axe, doesn’t even have a passive. Axe is just a big pile of stats. As a red hero, Axe loves to fight and is more than a match for other heroes and creeps, so this is exactly where you want him, pummeling enemies into submission in direct combat with superior size. The other three colors all have their own specialties as well. Black focuses on gold acquisition, mobility, and assassination. Green has huge monster creeps available, huge health pools, and helpful buffs. Blue has frail heroes, but extremely impactful magic spells. You’re free to mix and match heroes and colors, but you can only play cards of a color in a lane with a corresponding color hero, so getting too bold could result in difficulty playing cards where you want. Not only are you laying down creatures to attack your opponent and heroes and push the lanes, but you also gather gold from killing enemies. You spend this gold in the shop at the end of each round to buy various equipment that roughly falls into three categories: weapons, armor, and consumables. Just like in Dota, you want to have plenty of potions and town portal scrolls to keep your heroes healthy and moving to where they need to be. Big items can change the course of the game, but saving enough money to get them can be a losing strategy, as your opponent can dominate the board while you save. Once you’re past the basics, higher levels of play open games within games, where bluffing and taking full advantage of initiative (who plays first in a lane) create game-defining big plays that can feel as epic as an Earthshaker Echoslam in Dota 2. If you’re willing to put in the time and effort, you’re rewarded with tons of satisfying gameplay. When is the right time to abandon a lane? Should you go all in on one lane or try to win two lanes? Should you commit heroes to defending a dead lane, and if so how many? Should you pass your turn to attempt to grab initiative back so you can make sure you have the first action during the next round? You’re going to be making an absurd number of choices, and they won’t always be right. As a longtime card game enthusiast, being faced with situations where there isn’t a definitive correct play is highly entertaining. Constructed play takes a backseat to draft with the initial launch set. The metagame is already well established, and while things could change, powerful “best in every deck” heroes offer little flexibility in deckbuilding or room for creativity. Draft is another story, and is the best format available, allowing players to pick two cards out of packs until they create a full deck and take it into a string of battles. I hope the constructed format becomes more interesting as new heroes come into the game, but for now draft absolutely puts it to shame. Players can play in free events with preconstructed Valve decks, free constructed/drafts with friends or random global players, and paid tournaments. Unlike many other digital card games, currently there are no progression systems or ways to earn cards outside of purchase. All trades are made on the Steam market via buying and selling, so you can pick up exactly what you’re looking for, but you won’t be getting any free cards if you’re looking to build a collection. In this way Artifact feels like it’s hampered by an archaic physical card game model in the digital realm. While it’s not explicitly pay-to-win, it’s absolutely pay-to-compete and collect, and this feels restrictive – especially since you’re already paying a fee to purchase the game initially. Much can be said about psychological hooks that other digital card games employ to keep people playing and “grinding” but at least there’s an option to acquire cards slowly in those models. Here, you’re paying to engage in anything meaningful. Period. And it doesn’t feel good. 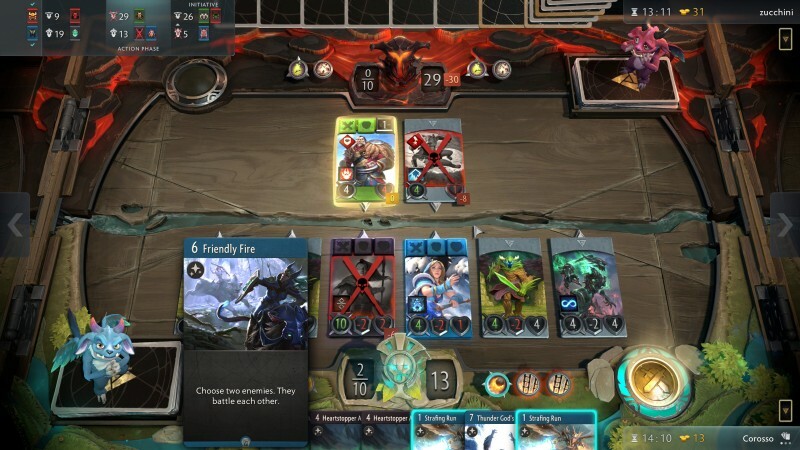 Artifact pulls a ton of flavor from Dota 2, but it’s not necessarily a game for Dota 2 players. 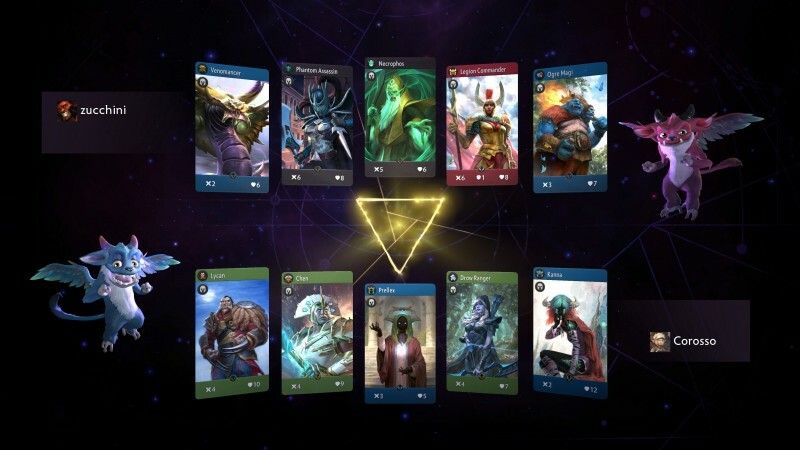 Artifact is instead a highly cerebral card game of push and pull, with intense resource allocation and randomization management. Artifact is absolutely not for everyone, but it excels at creating a crazy strategy cocktail pulling from every bottle on the shelf. For card game fans, Artifact is not to be missed. Valve is back with a clever, competitive card game. Entertainment For card game enthusiasts, Artifact is an intense, clever conflict that offers a continually shifting board where hundreds of micro decisions lead to eventual victory or defeat.